When will be The Drew Carey Show next episode air date? Is The Drew Carey Show renewed or cancelled? Where to countdown The Drew Carey Show air dates? Is The Drew Carey Show worth watching? Drew Carey is your everyday blue-collar guy who's struggling through life's ups and downs with his closest friends, Oswald, Lewis and Kate. Stuck in the same job for ten years, Drew performs a balancing act between sucking up to his boss and doing his best to irritate his annoying co-worker, Mimi. When he's not at work, he's trying to have some success in the romance department and indulging in a few of his own beers he brews in his garage with his friends. 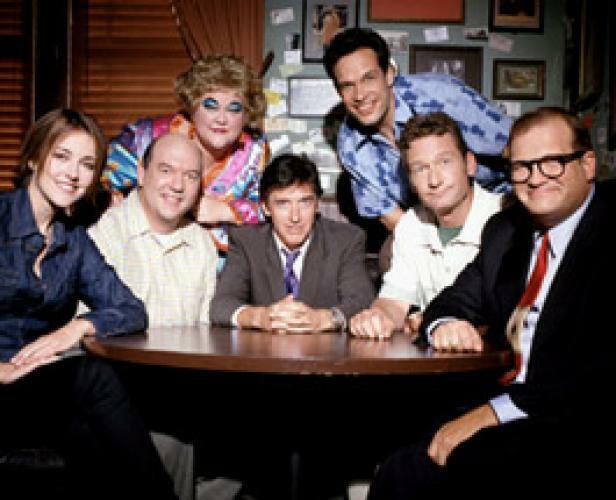 The Drew Carey Show next episode air date provides TVMaze for you. EpisoDate.com is your TV show guide to Countdown The Drew Carey Show Episode Air Dates and to stay in touch with The Drew Carey Show next episode Air Date and your others favorite TV Shows. Add the shows you like to a "Watchlist" and let the site take it from there.